In a world where even the word ‘politics’ sounds dirty, an act of someone prioritizing their moral values over instant personal gain deserves respect. And that’s what we’re going to do. Pay our respects. 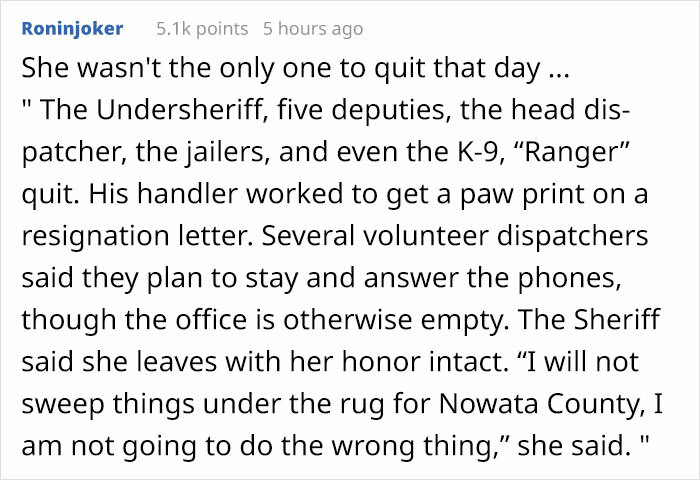 Nowata County’s sheriff and undersheriff, as well as half of their deputies have resigned over pressure to reopen a hazardous jail. 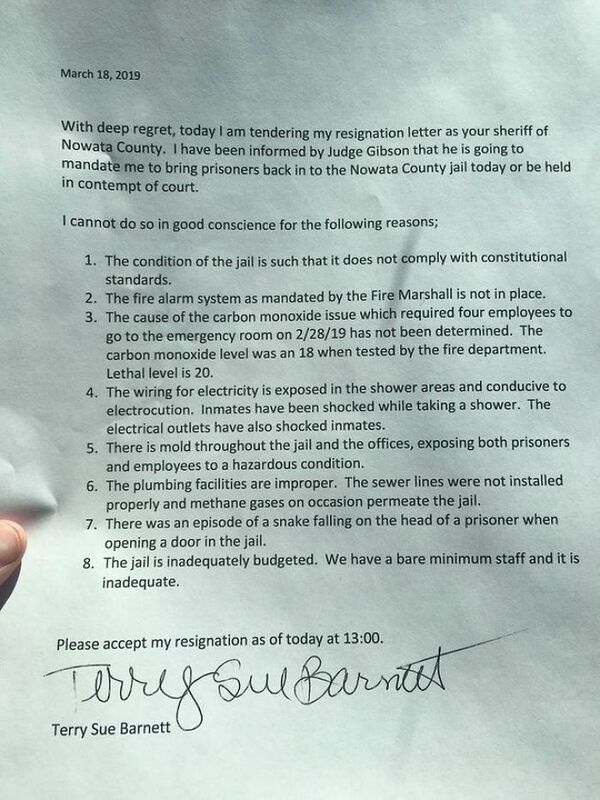 On Monday, Sheriff Terry Barnett publicly announced the resignations during a news conference. 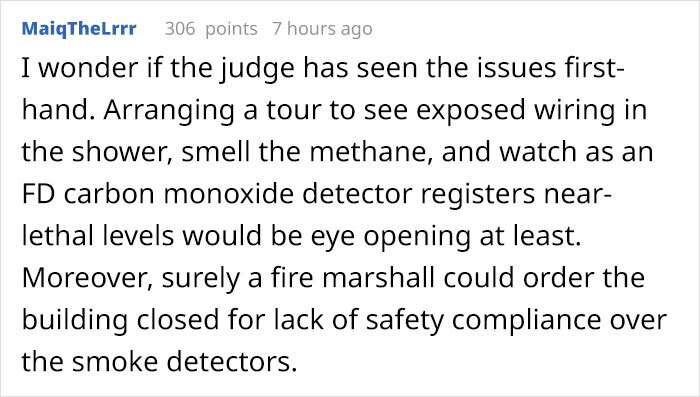 Detailing multiple unresolved problems at the lockup, she expressed her concerns over carbon monoxide leaks and exposed electrical wires at the facility. 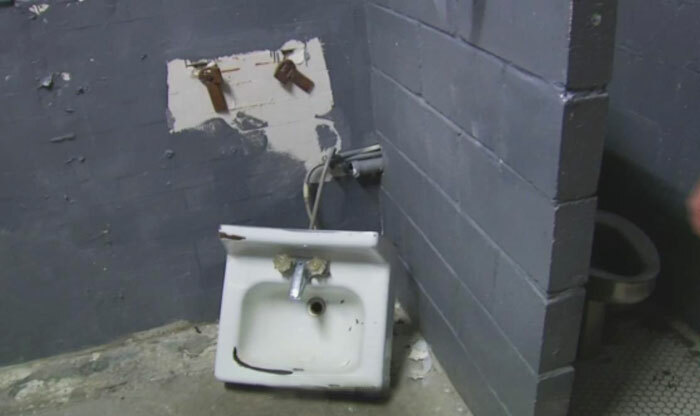 According to Barnett and Undersheriff Mark Kirschner, they quit because Nowata County Associate District Judge Carl Gibson pressured them to reopen the jail nearly three weeks after inmates were evacuated from it. After the safety issues emerged Feb. 28, the county’s 14 detainees were transferred to the Washington County jail in Bartlesville, about 40 miles (64 kilometers) north of Tulsa. 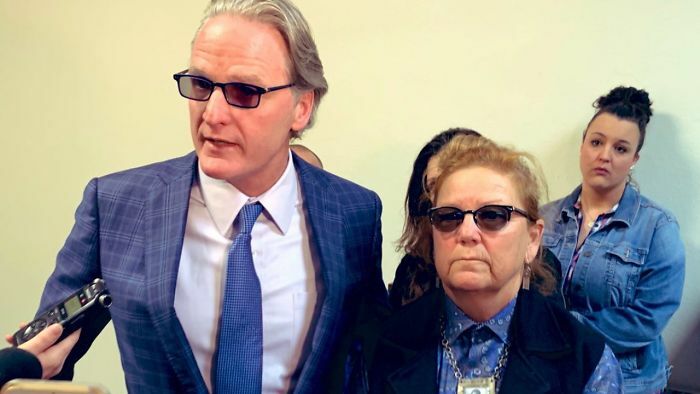 “I believe in doing the right thing, and I am not going to stand down from doing the right thing,” Barnett said. 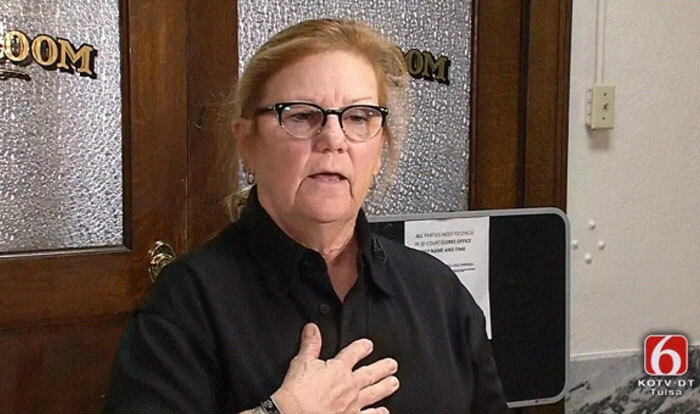 “I will not sweep these things under the carpet.” Barnett was elected sheriff in November 2018 after her predecessor, Kenny Freeman, was arrested on embezzlement charges. Kirschner also spoke about Gibson’s intimidation techniques. 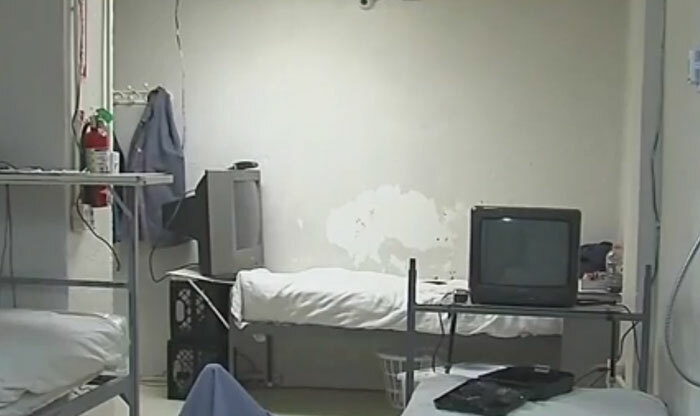 “I came in here, was ordered up here by the judge, and he basically said if I don’t get prisoners back over here, I would be in contempt and go to jail, and this job is not worth me going to jail. I have a family to take care of,” he said.